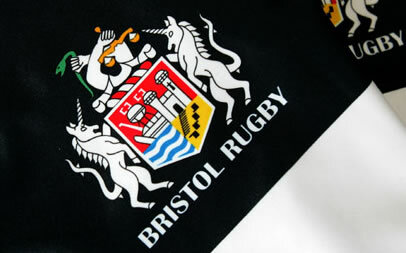 Bristol beat Bedford Blues 17-14 in the final of the British and Irish cup to win the tournament. Cup less than 24 hours after the birth of his son. and scoring the try that gave Bristol their first silverware since 2004. – there’s just so much emotion at the moment,” said Ellilott. “Unfortunately he’s 12 hours old so he couldn’t join us today! balls to failing to bind properly at the scrum. Barnes failing to draw the scores level five minutes later. side of the ball just before halftime. charge but they had to settle for a penalty from Pritchard. Memorial Stadium something to cheer about. Jack Tovey; George Watkins, Jack Adams, Junior Fatialofa, Dan Norton; Ed Barnes, Robbie Shaw; Mark Irish, David Blaney, Darren Crompton, Mariano Sambucetti, Roy Winters, Iain Grieve (C), James Merriman, Dan Montagu. Replacements: Ollie Hayes, Wayne Thompson, Mako Vunipola, Darren Barry, Richard Bolt, Mark Davies, Anthony Elliott. Edd Thrower; Handre Schmidt, Myles Dorrian, Ollie Dodge, James Pritchard (C); Jake Sharp, Will Chudley; Dan Seal, Dan Richmond, Phil Boulton, Mike Howard, George Kruis, Gregor Gillanders, Alex Rae, Paul Tupai.